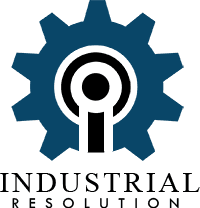 Industrial Resolution is a Digital Marketing, Web Design & Hosting, and Media Production company currently based in South Florida that serves clients on a national level. We use industry standard software and equipment for all of our unique projects. Our hard-working team of professionals offers these marketing and production services at affordable costs. We work closely with our clients and give the best possible customer service for their special project. We are proud to be an experienced and hard working team that dedicates its time and focus to your specific needs. If you can think it, we can create using our diverse skills and creativity. Delivering excellent customer service is our top priority. We pride ourselves on our high quality work that pushes the bar above industry standards. So what are you waiting for? Contact us today & we can make your vision a reality! © 2018 Industrial Resolution. All Rights Reserved.